People across Hull and East Yorkshire are being urged to help shape the future of healthcare by signing up to take part in clinical research. Friday 20th May marks International Clinical Trials Day, when both academics and health care professionals will celebrate hundreds of years of research by raising awareness of the importance of clinical trials within our community. This year also sees the National Institute for Health Research (NIHR) reach its 10th anniversary. Throughout the last ten years, the NIHR has contributed significantly to the health and commerce of the nation, and is currently supporting around 1,000 studies in the Yorkshire and Humber region. Present studies include diabetes and endocrinology, cardiology, maternity, paediatrics, surgery, stroke, dermatology, emergency medicine, critical care, neurology, and general practice. Hull University Teaching Hospitals NHS Trust has an excellent record of recruiting people into clinical research, with around 3,000 participants recruited to NIHR studies each year. However the Trust recognises that encouraging and empowering patients, relatives and carers to ask about clinical research opportunities increases the potential benefits that can be gained from taking part in research. “Research is vitally important in the field of healthcare. Research helps to develop cures and, measure the effectiveness of drugs and treatments and promote better understanding of the human body. Ultimately it helps to make decisions which could be beneficial for groups of patients and carers in the future. “People who haven’t come across or taken part in clinical trials before may have a preconceived idea of what they involve. In reality, the types of research we undertake vary markedly; from simple lifestyle questionnaires, testing of blood samples, through to studies of body imaging and drug and device trials. The expertise to undertake such studies in Hull and East Yorkshire is delivered locally through funding from the NIHR Yorkshire and Humber Clinical Research Network. With this funding, around 70 research posts across Castle Hill Hospital and Hull Royal Infirmary are maintained. 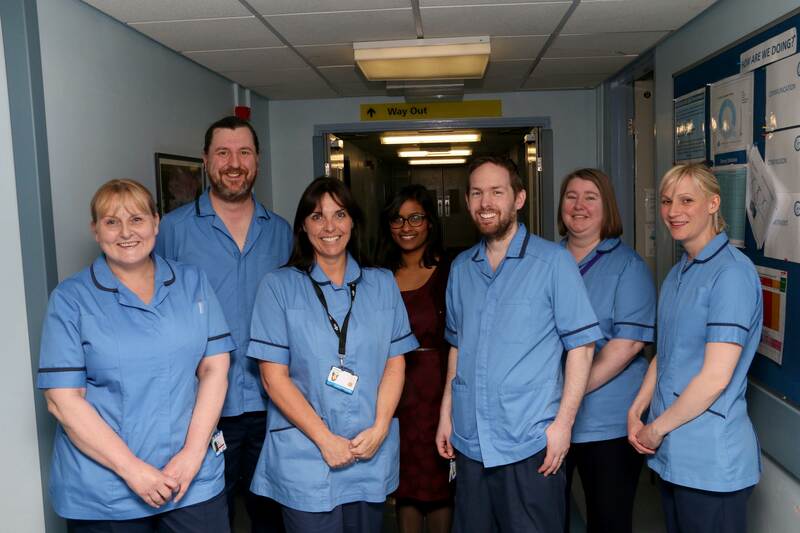 “Patients here in Hull and East Yorkshire are generally keen to be involved in research and it’s because of their support that the Yorkshire and Humber area can say it is one of the best performing regions in the country for clinical trial recruitment. “People are recruited through Hull University Teaching Hospitals NHS Trust Trust to take part in studies every year, and these pieces of work really do represent the future of healthcare, both locally and across the world. To mark International Clinical Trials Day on Friday 20th May, Joss will be one of a number of local research nurses stepping out in Hull in a bid to get people talking. Passers-by within St Stephen’s shopping centre will be offered information on local clinical research trials and encouraged to ask questions. There will also be Research Nurses based around both Hull Royal Infirmary and Castle Hill Hospital with further information relevant to their particular areas. The research team will be providing information to the public on Friday 20th May in St Stephen’s Shopping Centre from 10am.